With an aging baby boomer population, growing concerns on health care and greater focus on disease prevention and wellness, the job of a Physician Assistant is expected to be in high demand over the next five years. If you want to be hired for this lucrative $90,000 a year job, you will need a Physician Assistant resume that will win the trust of the employer. Don’t be misled by the “Assistant” part of the job title. A Physician Assistant is a well-trained and licensed professional who can do most of the things a doctor does. Potential employers can be very thorough when it comes to examining your resume. The Physician Assistant resume sample that we created will be a valuable reference tool for you to use when composing your own regardless of your chosen specialization. It has been structured to showcase your technical abilities as well as call attention to key attributes that make you the right candidate for the job. State-licensed, successful PANCE examinee with a Master’s Degree in PA and 8+ years working as a Physician Assistant specializing in General Surgery. I am desirous of contributing my skills to assist Anderson Heart Specialists and their numerous patients. I have the ideal attributes for a PA: compassionate, detail-oriented and emotionally stable. Assists doctors during surgical procedures. Performs minor surgical operations as approved and authorized by the doctor. Prepares, cleans and sanitizes all tools used for surgery. Conducts preliminary interview on patients. Performs initial diagnostic tests on patients. Evaluates test results, prepares report and discusses prognosis with attending physician. Orients patients on surgical and treatment procedures. Provides counseling to patients and their families. Conducts patient house calls upon advice and approval of doctors. Provided assistance to doctors during surgical procedures. Performed limited surgical procedures on patients with minor conditions and as approved and authorized by doctors. Made sure operating room is prepared to handle surgery; all tools sanitized and equipment are in working condition. Conducted research on patient conditions. Presided over initial patient meetings and interviews. Oversaw preliminary medical screenings on all patients. Reviewed patient medical history and cross-referenced with current findings. Proposed treatments and medications for patients. Provided counseling patients, families and loved ones with special focus on their spiritual in times of great emotional distress. Consulted with families on matters of bioethical concerns including termination of life support and permission for organ transplantation. Organized spiritual counselling sessions for patients with groups covering various religious denominations. Conducted initial patient interviews and test screenings. Analyzed test results and prepared reports. Submitted reports detailing prognosis of patient condition to attending physician. Managed inventory of medical supplies and made necessary replenishment orders. Just like doctors, physician assistants should also have an idea of which field of medicine they would like to specialize in. Your Physician Assistant skills list should include tasks that are related to your specialization. In our sample Physician Assistant resume, Bartholomew identified his specialization in the area of General Surgery. You can see in his scope of responsibilities that not only did he assist doctors during surgery but he also performed minor procedures as long as these were authorized. In fact, the doctors trusted him enough to do house calls on his own. The fascinating aspect of Bartholomew’s resume is that during his first 2 years as Physician Assistant, a big part of his duties included providing spiritual counseling on patients, their families and loved ones. This is an important role that PA’s must perform to the hilt because doctors want to remain focused on the procedure. Education. You cannot practice as a Physician Assistant unless you pass the Physician Assistant National Certifying Examination or PANCE. A college degree in a science or medical related course is not enough. You must sign up and pass a Master’s Degree program that been recognized by a regulating agency such as the Accreditation Review Commission on Education for the Physician Assistant. Certifications. In addition to the Master’s Degree course, you must take courses that are needed to improve your level of proficiency in your chosen specialization. Desired Soft Skills. No one likes hearing the bad news. Medical test results can be life changing. The idea of being put to sleep and opened up can be a very stressful time for the patient and his or her loved ones. Everyone will surely have their own set of questions. As a Physician Assistant, you have to tread the fine line between optimism and risk disclosure. You want to reassure the patient but not make them feel unguarded. It can be a slippery slope to navigate but you have to find a way to get them to accept the reality of the situation without discouraging hope. The best PA’s are those who have a blend of compassion, empathy and understanding while at the same time maintaining focus and composure to what must be done. The PA becomes the filter between the patient and the doctor. Emotional attachments may obstruct the doctor’s better judgment during the operation. 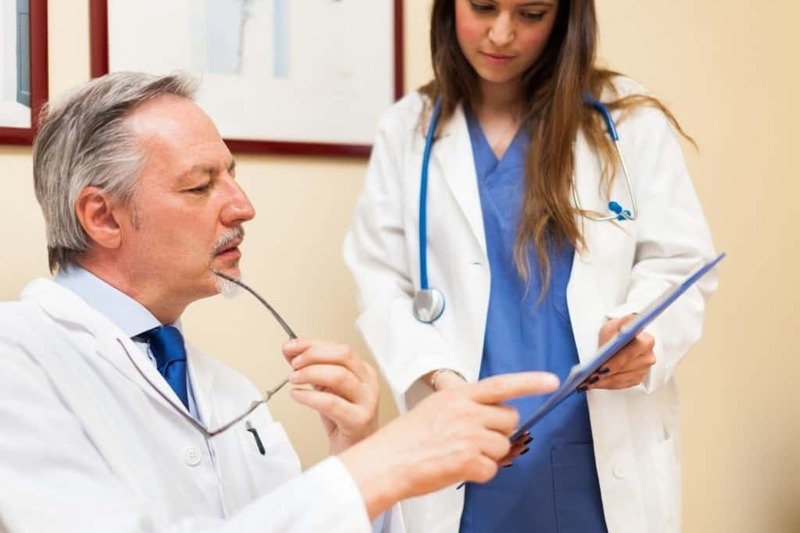 Given the high demand for physician assistants, you must use your qualifications strategically in your resume so you can create distance from the competition. The best way to do this is with your Physician Assistant resume objective. As you can see in the resume objective we put in our Physician Assistant sample resume, Bartholomew charged out of the gates by stating he is a licensed PA who completed his Master’s Degree with General Surgery as his specialization. This automatically qualifies Bartholomew as a candidate for a job in a hospital or clinic that would need PA’s with a background in General Surgery. It is obvious from the resume objective that Bartholomew hopes to work in a Cardiology clinic which frequently performs surgeries. He closes out by stating his main attributes that make him right fit as a Physician Assistant: compassionate, detail-oriented and emotionally stable. The resume objective is an important section in your application because it is your formal introduction to the doctor. You have to make a good impression with only a few sentences. As a Physician Assistant, you will be entrusted by the doctors to help them save human lives. Doctors probably go through several Physician Assistant resumes. To highlight your strong points, you should adopt the reverse chronological structure for your Physician Assistant resume format. Bartholomew’s qualifications notably his licensure and certifications are indicated in his objective statement, “Strengths”, “Education” and “Certifications”. The way it is arranged ensures the doctor reading it will never forget Bartholomew has all the necessary requirements to be considered for the job. If Bartholomew was looking for his first job, then his entry-level Physician Assistant resume should be structured after the functional format which places more focus on skills, qualification, and education than work experience. You can interchange “Education” and “Certification” in order to drive home the point that you have complied with all requirements to become a Physician Assistant. However, it might read like overkill and seem more redundant than anything else. If you have done volunteer or charity work in the medical field, include these activities as part of your work experience. As Dr. Bones McCoy used to tell Capt. James T. Kirk in the iconic TV series Star Trek, “Dammit Jim! I’m a Physician not a magician!” And you don’t have to be a magician when it comes to writing your own Physician Assistant resume. We’re sure you’ve read that recruiters only need 6 seconds or less to review a resume. Doctors are no different. You have to get your foot in the interview door by stating your qualifications right off the bat. This means capitalizing on the resume objective which falls under the top third of your resume. Then go into detail when it comes to your responsibilities. Doctors only want to work with PA’s who know that they are doing. Although the best gauge is actual hands-on work, the details of your experience is the next best thing. Lastly, do not overlook the value of your soft skills. For sure, doctors don’t. List the behavioral attributes that you strongly feel are the main differentiators between you and everyone else. If this Physician Assistant resume example wasn’t sufficient for you, you are free to review some other samples and templates from our site. Browse to some related resumes below and find your inspiration.